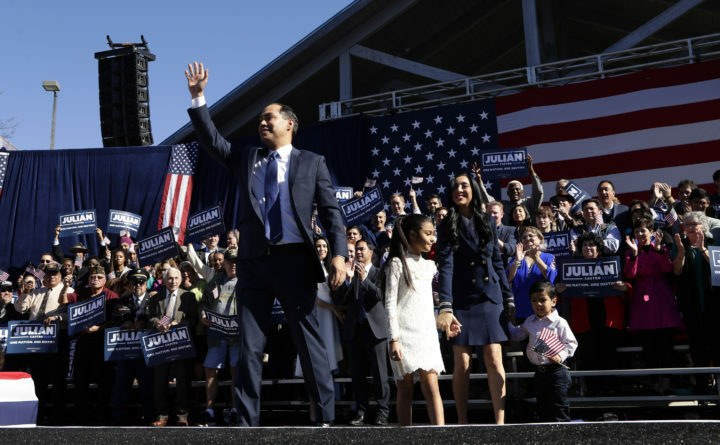 Former San Antonio Mayor and Housing and Urban Development Secretary Julian Castro, front left, waves as he arrives with his family to an event where he announced his decision to seek the 2020 Democratic presidential nomination Saturday in San Antonio. Castro was San Antonio’s mayor for five year and U.S. housing secretary in President Barack Obama’s second term. He became the second Democrat to formally enter race, after former Maryland Rep. John Delaney.